Did it ever happen to you to go for a simple dental procedure and come back home with a chipped tooth? As rare as this can happen in a professional dental office, it is not unheard of. Choosing a dentist is not easy feat and having your teeth professionally cleaned with long-term effects may not seem as easy as it looks. Who to trust with your dental health and which dental office to pick for a thorough, healthy, comfortable and with no side-effects teeth cleaning Lauderdale by the Sea FL service? Let’s take a look at a handful of criteria to make your choice easier. Just as the American Academy of Cosmetic Dentistry recommends, your doctor should show you a portfolio of success cases including before / after pictures of perfectly cleaned teeth. Your doctor should always demonstrate experience in the field and follow continuous education and training in the field of periodontics. Our doctors have nearly 60 years of combined medical practice and hundreds of success cases in their portfolios. They also receive permanent education and training in the latest equipment, materials, and techniques to offer all our patients impeccable teeth cleaning Lauderdale by the Sea FL services. You may feel you need teeth cleaning, but it is your doctor who ultimately decides the seriousness of your teeth problems and the best course of treatment. In order to perform a professional and successful teeth cleaning service, our doctors test your teeth for gum swelling, tartar and plaque deposits, tooth decay, spots, stains, discolorations, yellow or grey shades, and so on. Once the situation is assessed, our teeth cleaning Lauderdale by the Sea FL expert will perform the procedure in a comfortable, fast, and efficient manner. 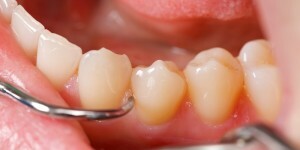 Teeth cleaning go hand in hand with teeth whitening. In order for you to have a bright, white, gorgeous smile and perfect dental health, you should look for a dental office offering more services than one. Our office offers all cosmetic dentistry treatments under one roof. This means you don’t have to see several dentists to get a problem solve, nor waste time or money juggling with multiple appointments. Our office built its reputation on excellent dental services, professional teeth cleaning Lauderdale by the Sea FL procedures and above-standards patient care. Pay us a visit and see for yourself if we meet your expectations!